The Realme 2 Pro has just been launched at a starting price of Rs. 13,990, and we know that you are curious to know everything about the new device, ranging from an in-depth review of the device to camera performance and battery output. 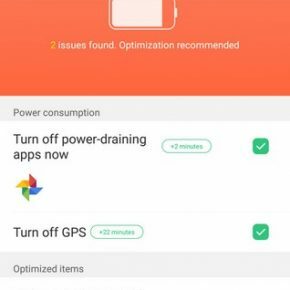 In this article, we’ll discuss in detail about the Realme 2 Pro’s battery output, charging speed and how long does it take to fully juice up the device. The Realme 2 Pro comes equipped with a 3,500mAh battery, which is a significant downgrade from the 4,230mAh battery fitted inside the Realme 2. On top of that, the Realme 2 Pro packs a larger display and a more power-hungry processor, which means the battery performance of the Realme 2 Pro will certainly be inferior to that of the Realme 2. 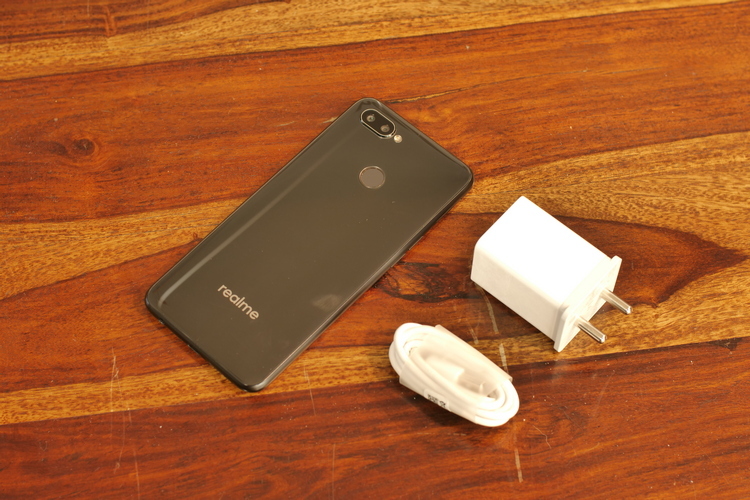 But is the Realme 2 Pro’s smaller battery really a cause of concern for buyers? Let’s find out. 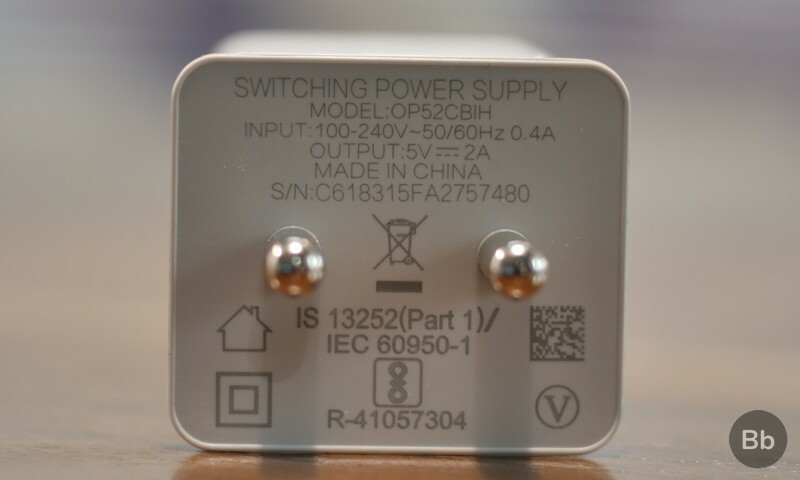 The Realme 2 Pro comes bundled with a 5V/2A charger which bears the Oppo branding, and while the device’s spec sheet doesn’t mention anything about a fast-charging technology of any kind, the charger’s power rating suggests otherwise. 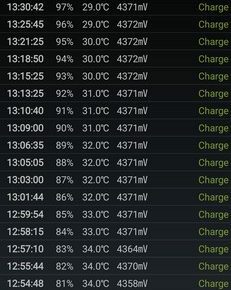 When the device is in an idle state and no apps are running in the background, the Realme 2 Pro’s battery went from 0% to 33% just around 31 minutes and touched the 60% mark in only 55 minutes. The Realme 2 Pro’s 3,500mAh battery takes 2 hours and 11 minutes to go from 0-100%, which is quite impressive. But do keep in mind that the figures were recorded when the device was not being used. 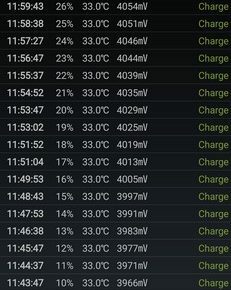 So, if the smartphone is connected to a WiFi or cellular network and is being actively used with multiple background apps in action, it will take longer to charge the battery. 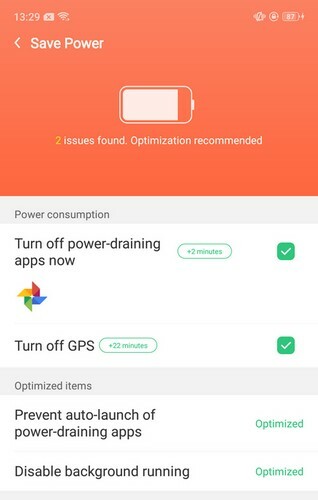 I used the Realme 2 as my daily driver for around a week and noted that the device delivers an average battery back-up of around 9 hours and 45 minutes, which is more than sufficient given my usage pattern. 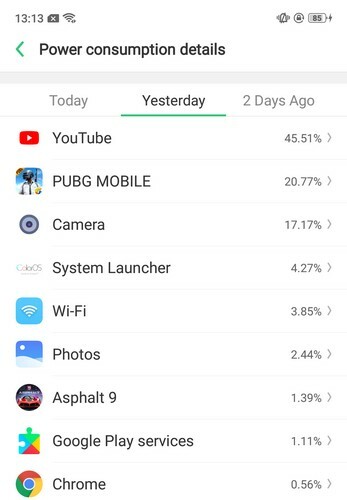 In my time using the Realme 2 Pro, the device was connected to a WiFi network all day long, while I streamed high-quality videos on Netflix and YouTube, clicked around 10-15 images everyday, shot a few sample videos, played PUBG for at least 70-80 minutes and of course, did some social media surfing. 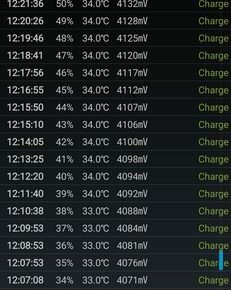 With all that active usage, the Realme 2 Pro comfortably lasted a full day of usage, and by the time I reached home, the devices still had around 10-15% of battery juice left. 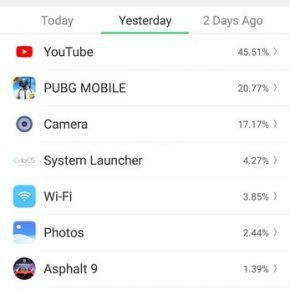 If you are a demanding user and play a lot of graphics intensive games such as PUBG, Injustice 2 and Asphalt 9: Legends, then the battery will drain considerably faster. 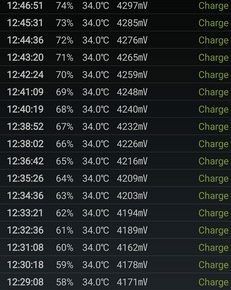 The same happens if you watch a lot of YouTube videos at high resolution, but in this case, the battery will drain at a slower rate compared to gaming. 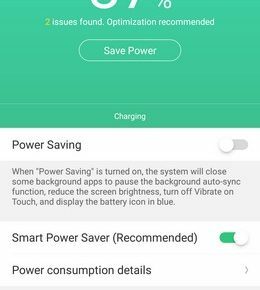 Overall, the Realme 2 Pro can easily last through a full day of usage, while its fast charging speed is an extra icing on the cake. 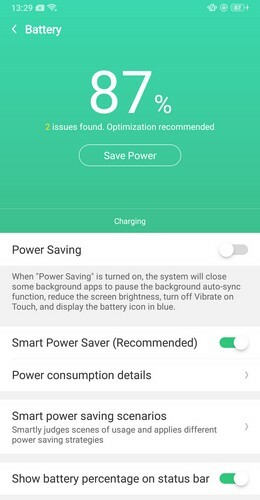 On a concluding note, the Realme 2 Pro performed fairly well in our battery test, and if I were to recommend this device to a person who is worried about the Realme 2 Pro’s 3,500mAh battery capacity, I will just say this: Don’t worry! It will last for a day, and you won’t be running to find a charging port by evening every day.